We offer shuttle service within six mile radius of our shop. Planning on purchasing a car? We can provide a pre-purchase inspection for peace of mind so you can make an informed decision. No matter your auto need, Hayward Auto Care is your best choice. 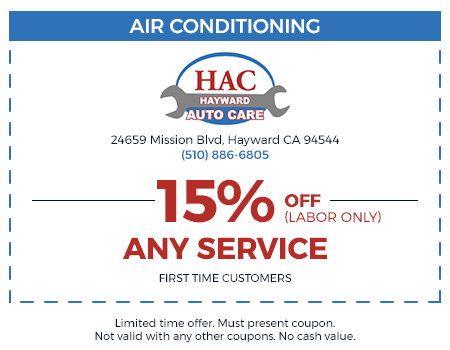 Hayward Auto Care has been in business over 25 years. We stand behind all of our work. If you’re not happy with our service, we’ll make it right. Our ASE-certified technicians have over a quarter century of experience repairing a vast array of makes and models, both foreign and domestic. At Hayward Auto Care, we believe that customer satisfaction is vital to our business. We’ll always offer you an accurate estimate of cost and time. We won’t stop working until the problem is resolved. Contact us today. Get reliable repairs for an excellent price. At Hayward Auto Care, we understand the importance of family and integrity. We’ve been family owned and operated for over 25 years. We’ve built a reputation in the area for honest dealings, accurate estimates, and auto repair expertise. We know that having your car in for repairs can be stressful. That’s why we’ll ensure you knowwhat’s needed up front and we offer affordable options and coupons to help with any budget. We’re passionate about providing quality auto care, and when you bring your car to us, we’ll treat you like a member of the family. This is by far the best repair shop I've ever been to. I went to a competitor and they told me I needed the shocks on my replaced. I took my car in to Hayward Auto. Ken did an inspection and they told me it didn't need to be done and he didn't even charge me! I've have NEVER had an experience like this at auto repair place before. I HIGHLY recommend this place! This the cleanest, most honest auto repair shop that I have ever been too! I have take both of my cars here for years. Ken and his wife always give great service at an even better price. They always make sure that everything is perfect before they take my payment. Being a female, I have been intimidated and taken by other repair shops. I feel comfortable and trust Ken and his wife. I'll be a loyal costumer for as long as I live in the area! This is a very honest repair ship who does honest work for a very fair price. They won't up sell you expensive parts or services you don't need. I will definitely not be going to the anywhere. A BIG 5 STARS TO THIS REPAIR SHOP! I stopped by last week ago because my check engine light came on. Ken found the problem, fixed it fast and I was on my way. 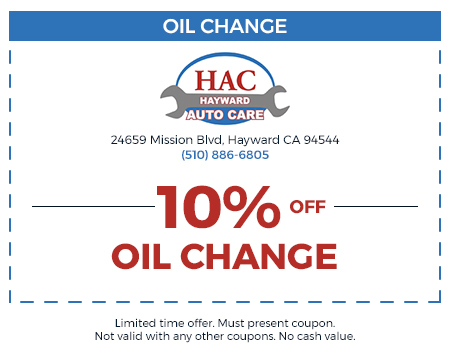 My friend recommended Hayward Auto Care to me a few years ago. She told me she has been going here forever and completely trusts this place. I recommend this shop to everyone. They are honesty, loyal and get the job done. I will always come here for all of my auto repairs. Thank you for a job well done with my car. What a great repair shop! I have been looking for an auto repair shop close to my home for oil changes, maintenance and repairs for a while. Now I have found the perfect place. Ken, the owner is always cheerful and professional. He explains exactly the repairs your car needs in a simple and understand way. This is perfect for someone like my wife where cars is not her expertise. I love that this is a family run business. It always runs this professionally and with such incredible service, honesty and reliability. I have always found the prices to be very reasonable. 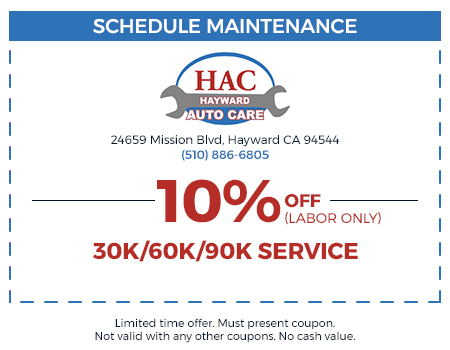 Ken, his employees and everything about Hayward Auto Care are first class! I'm so happy to have found them! 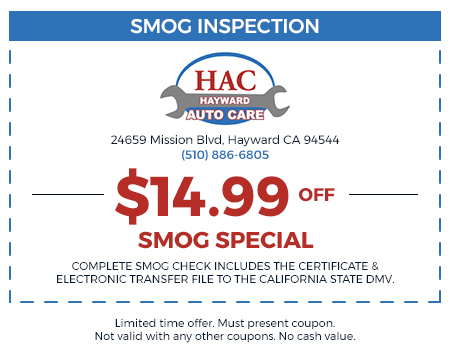 © 2019 Hayward Auto Care. All Rights Reserved.